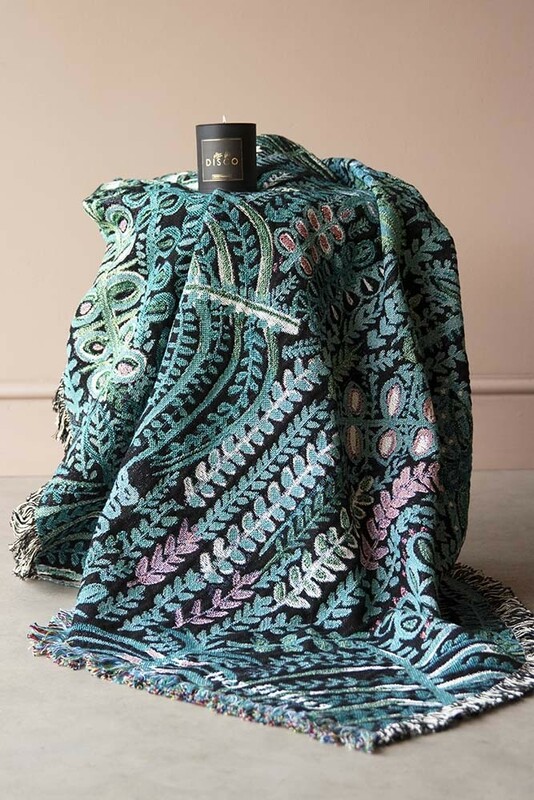 A beautiful cotton throw with soft fringe edging by artist Lucy Tiffney. 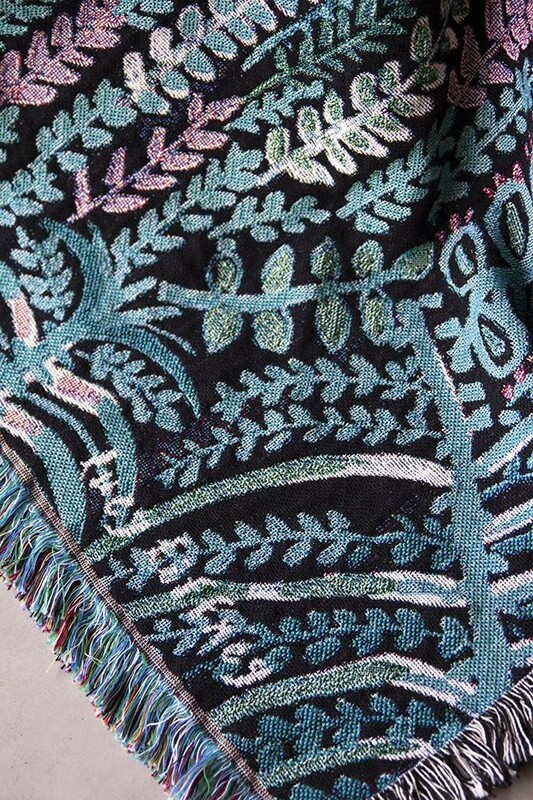 The decorative blanket features woven prints of Lucy Tiffney’s signature botanical plants. The vibrant greens, blues, pinks, whites and red create an incredibly intricate floral and foliage design that will draw the eye as soon as you walk into the room. The Vibrant Lagoon Cotton Throw is made from 100% Cotton, 70% of which is recycled. The Throw measures 180cm in height x 135cm in width. 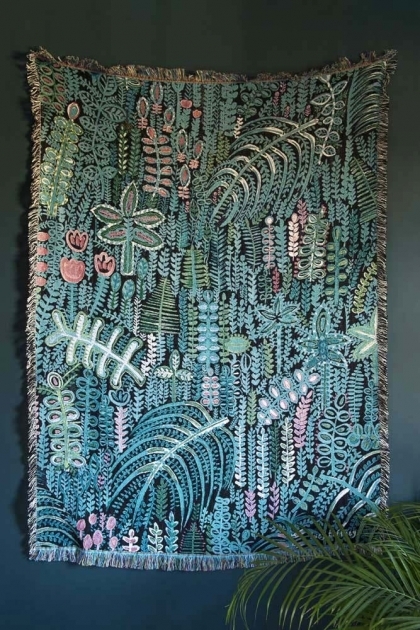 If you are a fan of Wall Mural Artist, Lucy Tiffney, then we know you will love this Throw. Lucy Tiffney has expanded her art range to curate this beautiful jungle forest blanket and we are delighted to be stocking the Throw. An incredibly beautiful decorative blanket we think that you will particularly love the Lucy Tiffney Vibrant Lagoon Cotton Throw because it’s like art for your beds, sofas, armchairs and walls. 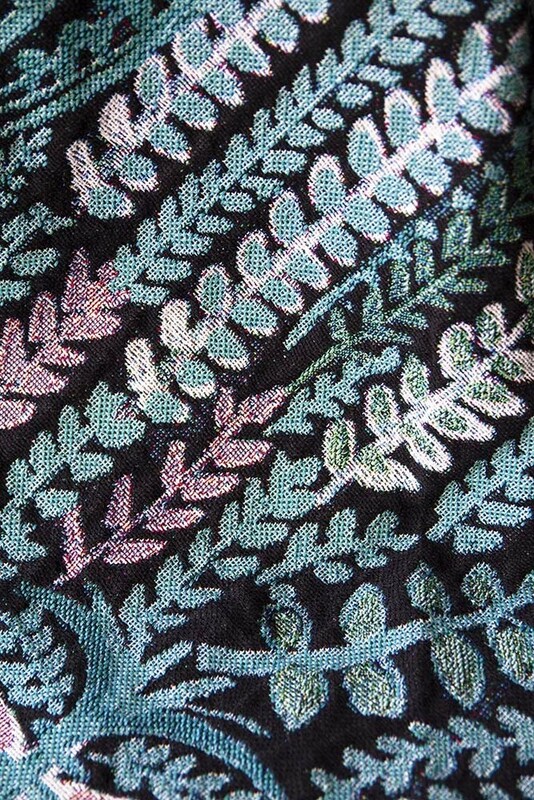 Great for adding add unique interest to your soft furnishings, we also think that the botanical blanket would be a unique gift idea for your loved ones. A heavy cotton blanket that is perfect for snuggling up in on the sofa whilst you are watching a movie, you can style the throw on the arms of your sofas and at the end of bed to incorporate more texture and colour into your interiors. This a particularly great idea for those of you who want to experiment with colour in your home without going all-out colour mad! Alternatively, you could hang the Lucy Tiffney Throw on your walls as a beautiful Wall Blanket. It’s a particularly great idea for renters who don’t have much control over your wall paint choices. Plus, if you hang it over the bed it could be a lovely makeshift decorative headboard.